The Best Maldives Travel blogs from thousands of top Maldives Travel blogs in our index using search and social metrics. Data will be refreshed once a week. Maldives About Blog Discover the Sunny side of Life. Sunny all year long, Waves like nowhere else, Underwater beauty like paradise! Visit Maldives for a perfect holiday. Facebook fans 454,889. Twitter followers 22,188. Male', Maldives About Blog We are full service Travel Company based in republic of Maldives. We offer comprehensive selection of resort islands, liveaboards and many tourism related trade in Maldives. Our prime interest is to help the overseas tour operators & build a report in defining the best in Maldives. We offer ground handling, tour packaging, room allotments, safari charters, flight handling, fishing to diving trips. Facebook fans 168,901. Twitter followers 3,311. Maldives About Blog Quality and Excellent Travel Solutions for Your Holiday in Maldives! Facebook fans 342,271. Twitter followers 741. Facebook fans 140,599. Twitter followers 899. About Blog Looking for ideas on where to stay, what to see & do in the Maldives? Find information on Maldives resorts, hotels, guest houses, liveaboards & traveller essentials. Facebook fans 8,459. Twitter followers 693. India About Blog Trivia, Images, Stories & Experiences you will love! We are an online marketplace model bringing both the travelers, and trusted & expert travel agents on a common platform to design a customized holiday package. Facebook fans 689,993. Twitter followers 3,116. India About Blog Cox & Kings Ltd. is the longest established travel company in the world since 1758. It is a premium brand that caters to the overall travel needs of the Indian and International traveller. Facebook fans 354,288. Twitter followers 11,895. London, UK About Blog We’re a passionate family-run travel company with over 30 years’ experience in creating tailor-made luxury holidays and tours around the world. Facebook fans 44,584. Twitter followers 6,027. Facebook fans 7,211. Twitter followers 1,006. West Sussex About Blog A collection of inspirational travel and lifestyle posts from Sovereign, the luxury holiday experts. Facebook fans n/a. Twitter followers 2,354. Facebook fans 28,793. Twitter followers 2,428. Maldives About Blog Bandos Maldives - Located ten minutes away from the airport, we provide the best without the hassle of going any further. Facebook fans 73,408. Twitter followers 3,340. India About Blog Read our Maldives Travel Guide and explore the top Attractions of Maldives like beaches, resorts and find the perfect place for your honeymoon and any kind of other holidays to make your trip memorable. Facebook fans 113. Twitter followers 7. About Blog Read the latest from our My Maldives team! Packing tips, hotel reviews and Maldives news on the My Maldives blog. Get excited about your Maldives holiday! Facebook fans 126,781. Twitter followers n/a. Southern California About Blog Exceptional collection of hotels, yachts, and destinations worldwideCurator of undiscovered luxury travel locales with insider info and news from our worldwide portfolio of boutique hotels, wellness retreats, and eco-resorts. Facebook fans 4,526. Twitter followers 2,910. Switzerland - Maldives About Blog Find the latest posts, pictures, video, and content about Maldives surfing, waves, charters, and boat trips on the Surfatoll Maldives Surfing Blog. Facebook fans 11,827. Twitter followers 333. Facebook fans 47. Twitter followers 434. MALDIVES About Blog Secret Paradise offers private and group guided Local Island adventures and cultural experiences allowing you to experience the best from our paradise home. Facebook fans 6,845. Twitter followers 424. UK About Blog Tropic Breeze is a friendly Caribbean & Maldives specialist travel company with indepth knowledge of the islands & hotels. Try us for your next holiday! Facebook fans 1,549. Twitter followers 976. Maldives About Blog Maldives travel blog offering insider travel tips on Maldives adventure holidays Maldives live-aboards for surfing diving fishing Maldives guest houses. Facebook fans 3,334. Twitter followers 1,045. About Blog We promote Maldives as the Indian Ocean’s Paradise, the no. 1 honeymoon and tourist destination of the world, the holiday makers dream experience. Facebook fans 3,829. Twitter followers 109. About Blog Addicted to Maldives is your Personal Luxury Travel Concierge, exclusively to the Maldives. Facebook fans 1,886. Twitter followers n/a. New York, USA About Blog Search and browse for great travel deals on flights, hotels and resorts in the beautiful and exotic Maldives in the Indian Ocean. Maldives About Blog Travel Blogger From Maldives. Free spirit, 21, Travel blogger from the Maldives! I love taking photos of literally everything, and oh yeah hopping on planes! Facebook fans 7,874. Twitter followers 3,083. 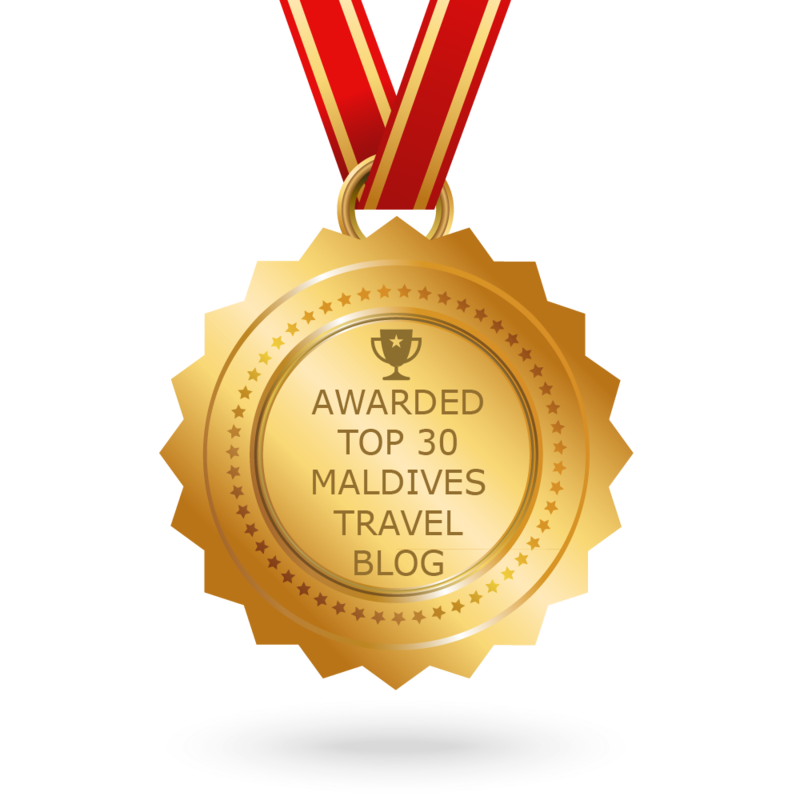 CONGRATULATIONS to every blogger that has made this Top Maldives Travel Blogs list! This is the most comprehensive list of best Maldives Travel blogs on the internet and I’m honoured to have you as part of this! I personally give you a high-five and want to thank you for your contribution to this world.